St. Petersburg. 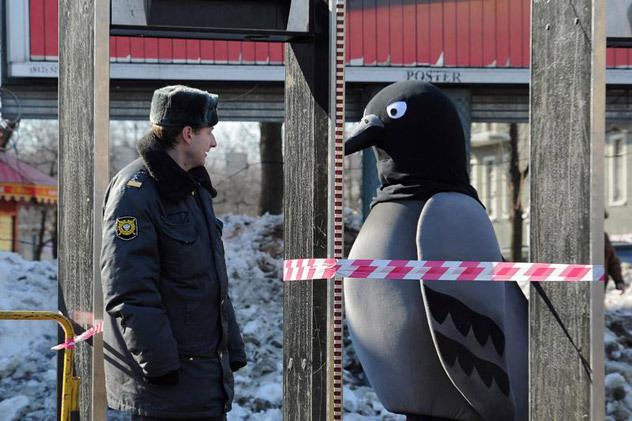 An unknown man in a dove costume hangs out beside a police officer. The bird-man has been a regular occurrence at street rallies, sometimes as a dove symbolizing peace, sometimes as the bird that represents Twitter, referring to the social network's role in uprisings in the Middle East.